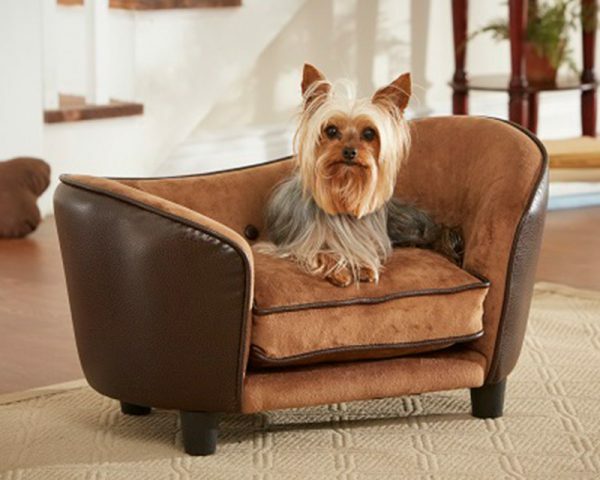 This is Zoom, a 5 pound Yorkie who feels quite at home on this classic Snuggle Sofa. 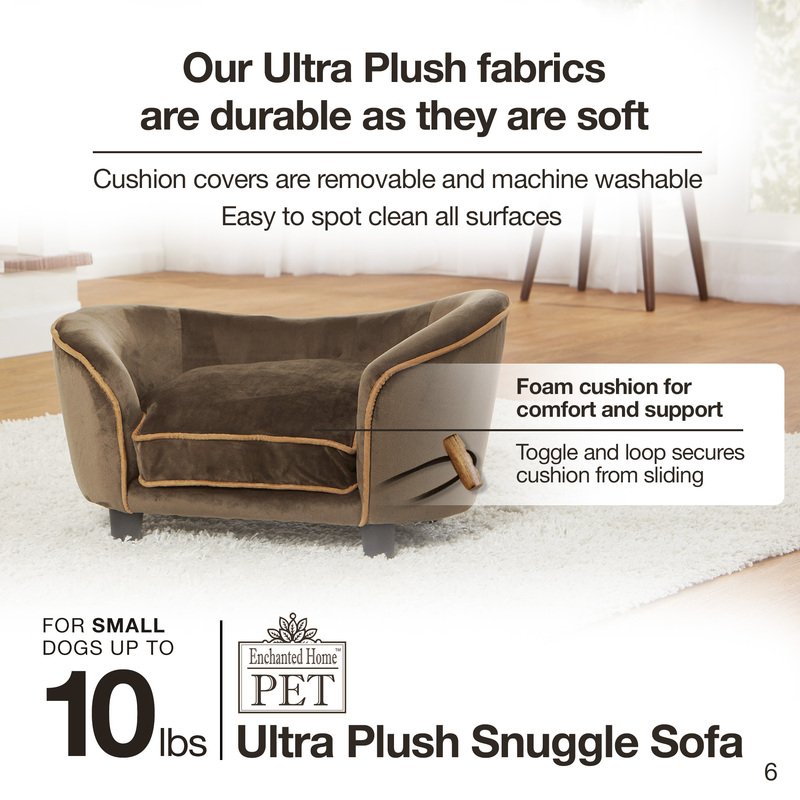 It is upholstered with a pebble grain, faux-leather exterior and a luxurious Ultra-Plush full loft cushion for pure comfort. 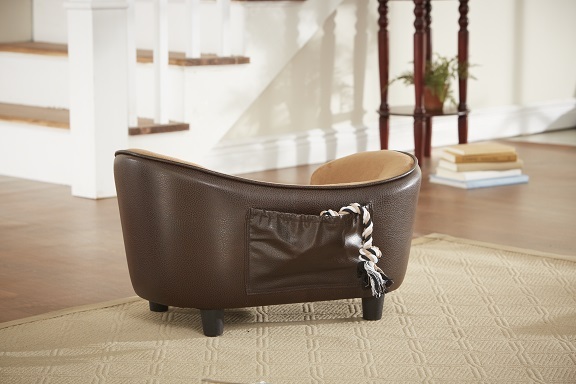 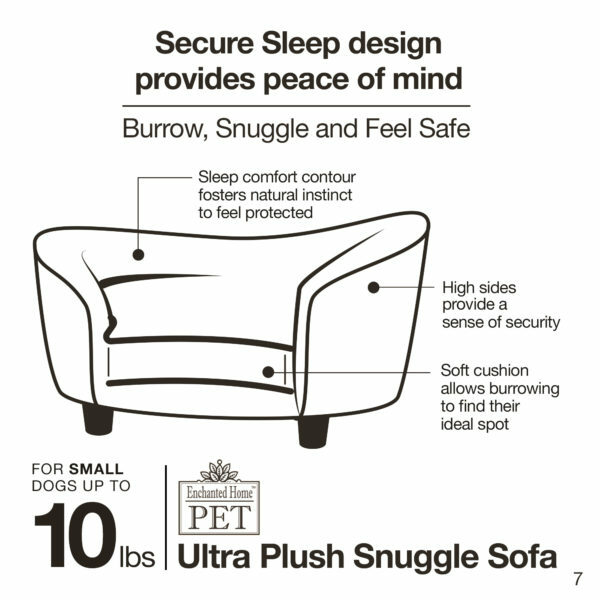 It is perfect for the littlest pet who likes to curl up to sleep. 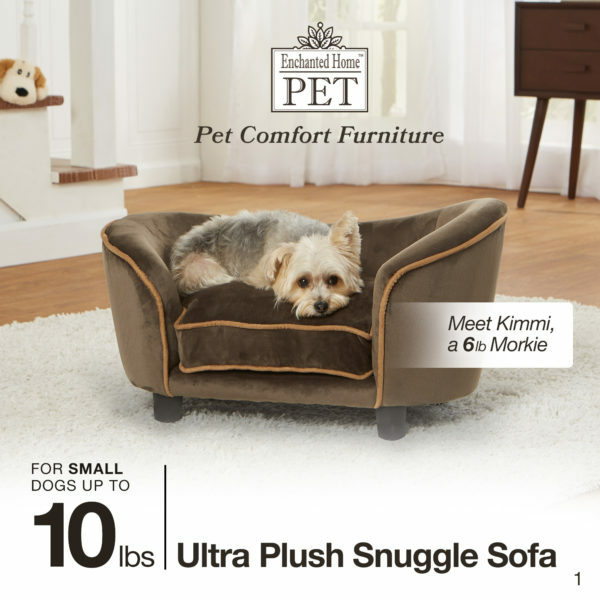 Meet Kimmi, a 6 pound Morkie who loves the velvety-plush cushion on this version of the classic Headboard Sofa. It has a textured velvet feel with diamond shaped buttons and contrasting black welting. 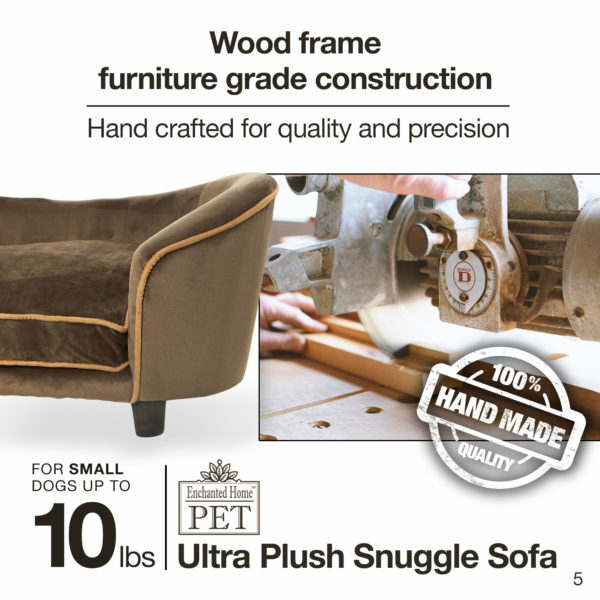 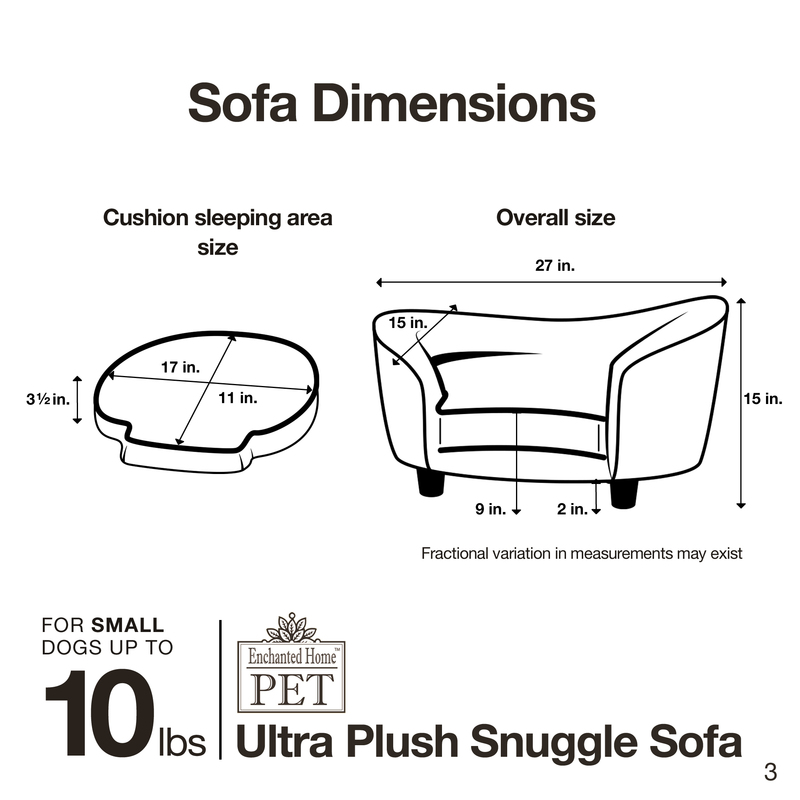 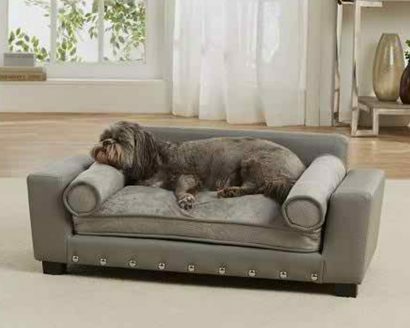 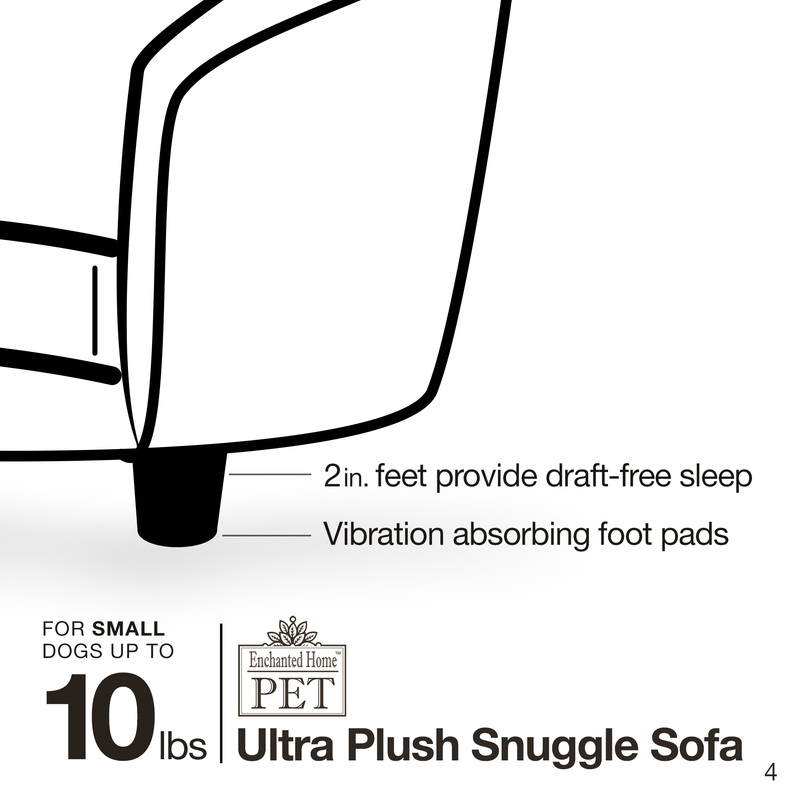 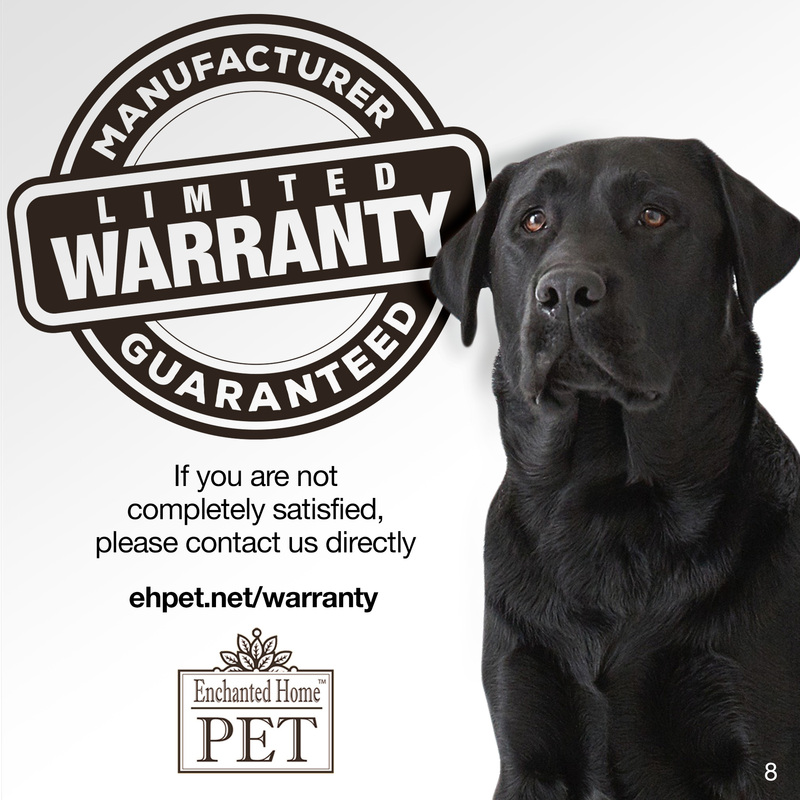 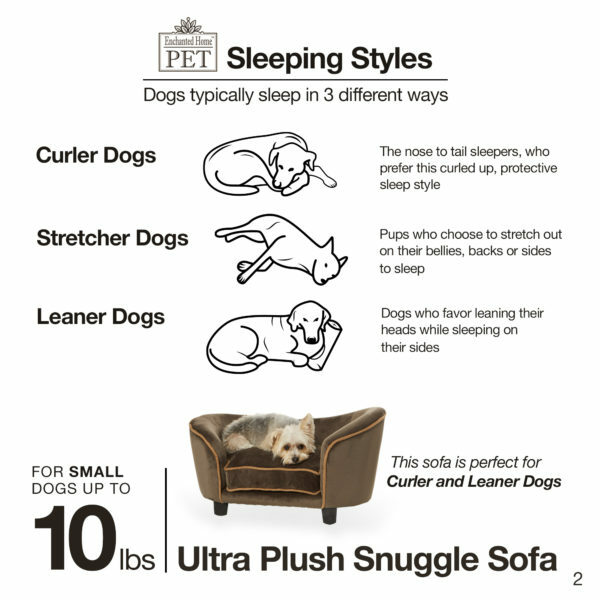 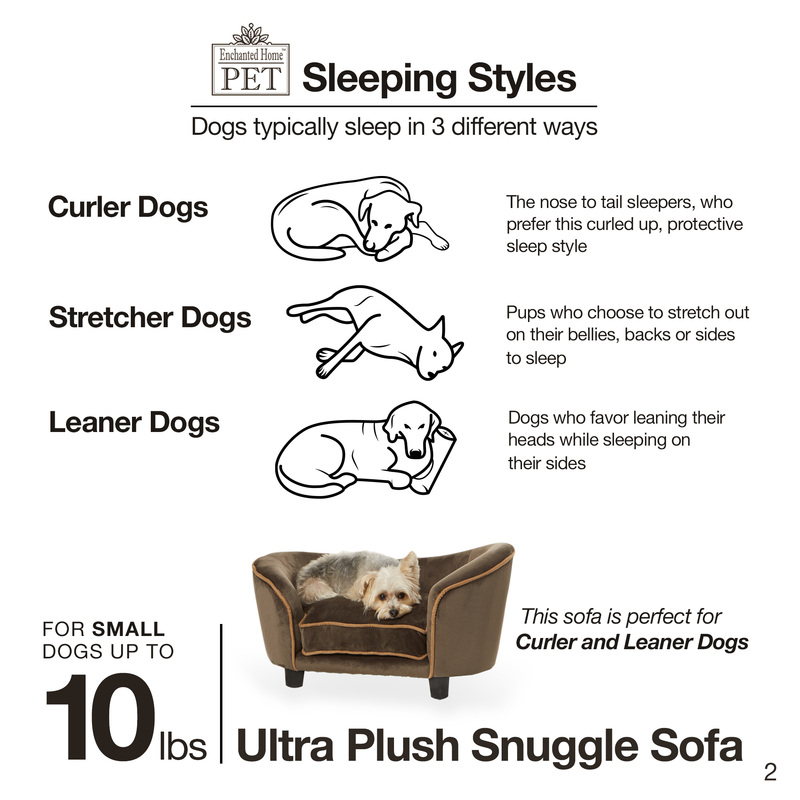 It is perfect for the little pet who likes to curl up to sleep. It is upholstered with a full loft cushion for pure comfort.